A genetic hack to make photosynthesis more efficient could be a boon for agricultural production, at least for some plants. This feat of genetic engineering simplifies a complex, energy-expensive operation that many plants must perform during photosynthesis known as photorespiration. In field tests, genetically modifying tobacco in this way increased plant growth by over 40 percent. If it produces similar results in other crops, that could help farmers meet the food demands of a growing global population, researchers report in the Jan. 4 Science. Streamlining photorespiration is "a great step forward in efforts to enhance photosynthesis," says Spencer Whitney, a plant biochemist at Australian National University in Canberra not involved in the work. 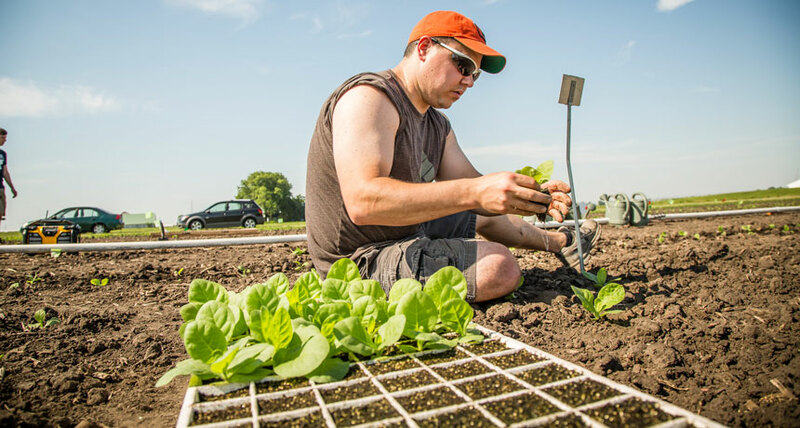 Now that the agricultural industry has mostly optimized the use of yield-boosting tools like pesticides, fertilizers and irrigation, researchers are trying to micromanage and improve plant growth by designing ways to make photosynthesis more efficient (SN: 12/24/16, p. 6). Photorespiration is a major roadblock to achieving such efficiency. It occurs in many plants, such as soybeans, rice and wheat, when an enzyme called Rubisco - whose main job is to help transform carbon dioxide from the atmosphere into sugars that fuel plant growth - accidentally snatches an oxygen molecule out of the atmosphere instead. That Rubisco-oxygen interaction, which happens about 20 percent of the time, generates the toxic compound glycolate, which a plant must recycle into useful molecules through photorespiration. This processes comprises a long chain of chemical reactions that span four compartments in a plant cell. All told, completing a cycle of photorespiration is like driving from Maine to Florida by way of California. That waste of energy can cut crop yields by 20 to 50 percent, depending on plant species and environmental conditions. Using genetic engineering, researchers have now designed a more direct chemical pathway for photorespiration that is confined to a single cell compartment - the cellular equivalent of a Maine-to-Florida road trip straight down the East Coast. Paul South, a molecular biologist with the U.S. Department of Agriculture in Urbana, Ill., and colleagues embedded genetic directions for this shortcut, written on pieces of algae and pumpkin DNA, in tobacco plant cells. The researchers also genetically engineered the cells to not produce a chemical that allows glycolate to travel between cell compartments to prevent the glycolate from taking its normal route through the cell.